A stock photo of the Honolulu's new urban rail system. Credit: Honolulu Authority for Rapid Transportation. 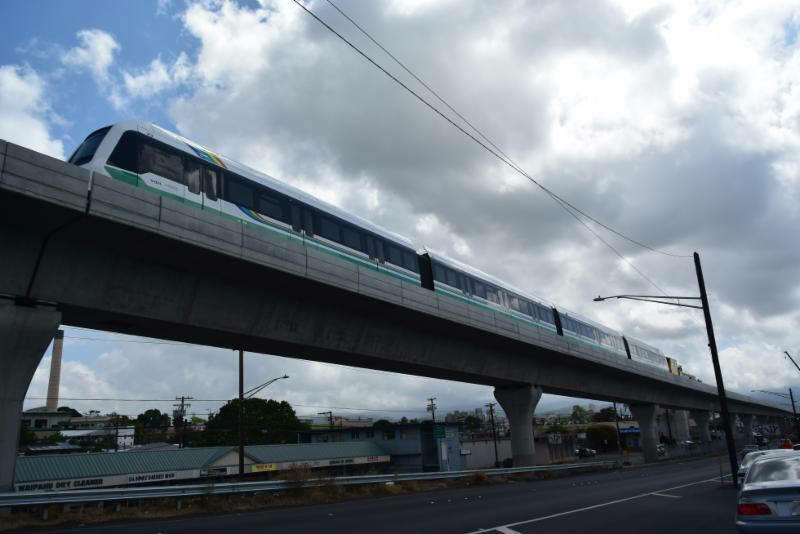 Ansaldo STS has announced that the Honolulu rapid transit train has reached the top operational speed of 55mph during testing. The milestone moment comes after commissioning of the traction electrification system on the test section. Ansaldo Honolulu JV – a Hawaii-registered partnership between Ansaldo STS and Hitachi Rail Italy – plans to keep testing the trains for the next six months on the two-mile energized section of the line between the rail operations centre and the future West Loch station. The team anticipates start of testing in driverless mode to begin in 2019 and the opening of the first 10-mile section of the line in late 2020.